This new map book has over 100 full-color maps from more than 50 federal government agencies. Redlands, California—The fifth book in Esri's Mapping the Nation series, Mapping the Nation: Building a More Resilient Future is a collection of geographic information system (GIS) maps that illustrate how federal government agencies rely on GIS analysis to build stronger, more resilient communities and help make the world a better place. The print version of the book includes 118 full-color maps produced by more than 50 federal government agencies, including the US Forest Service, US Department of Defense, US Department of Education, and the Bureau of Ocean Energy Management. 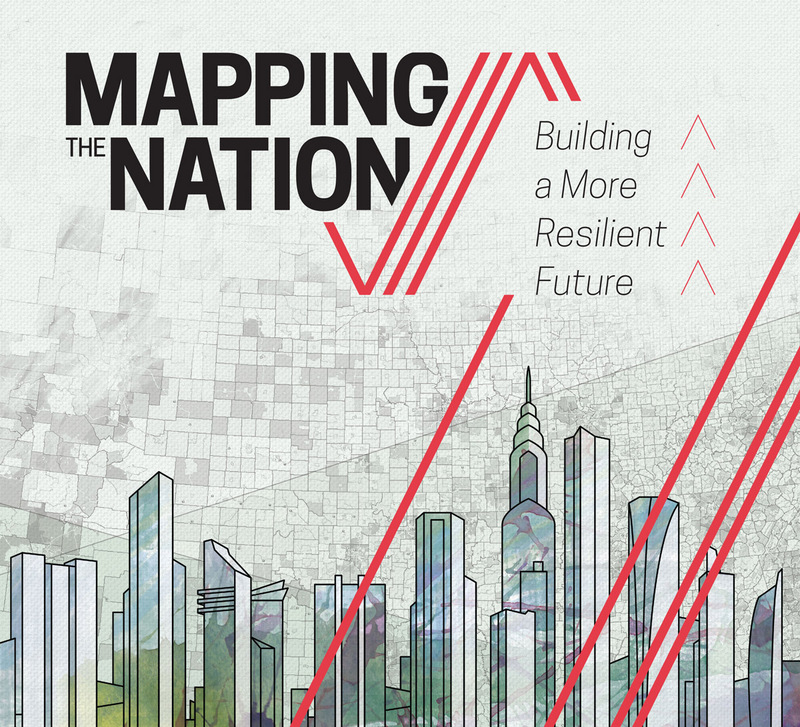 The digital version of Mapping the Nation offers enhanced and interactive maps and videos showcasing four start-up companies that are using ArcGIS technology in partnership with Esri and the government. The maps depict how federal employees and officials use GIS to evaluate, plan, and respond to social, economic, and environmental concerns at local, regional, national, and global levels. Topics such as green government, economic recovery and sustainability, and climate protection show how government agencies use GIS to facilitate initiatives, improve transparency, and deliver strong business models. 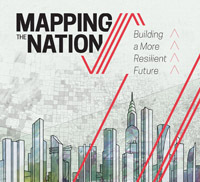 Mapping the Nation: Building a More Resilient Future is available in print (ISBN: 9781589483910, 108 pages, US$19.99). The book is available at online retailers worldwide, at esri.com/esripress, or by calling 1-800-447-9778. Outside the United States, visit esri.com/esripressorders for complete ordering options, or visit esri.com/distributors to contact your local Esri distributor. Mapping and Apping the Nation 2015, an interactive digital adaptation of the printed map book, is available free of charge from the Esri Books app on Apple iTunes and the Google Play store.